TRUE DUAL MONO OUTPUT STAGE Using one 12AX7 and one 12AU7 per channel. VACUUM TUBE RECTIFIED POWER SUPPLY Adapted from the award-winning ProLogue Three preamp that incorporates eleven separate power supply regulation circuits. STATE-OF-THE-ART Utilizing Burr Brown SRC4192 24bit/192kHz upsampling circuit with accompanying Burr Brown PCM1792 DACs. THE SUPERTUBECLOCK™ An ultra-low jitter clocking device that replaces the solid-state oscillator with a vacuum tube. 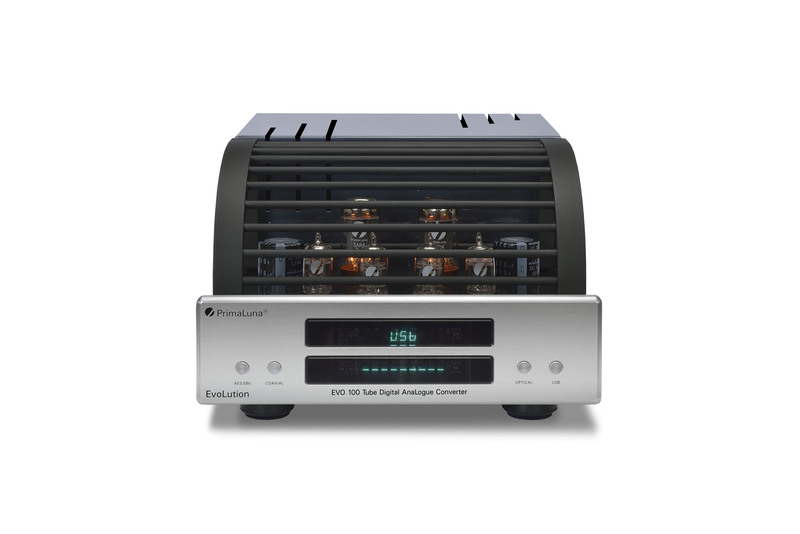 Yields incredible detail retrieval and dynamics throughout the entire audio spectrum. 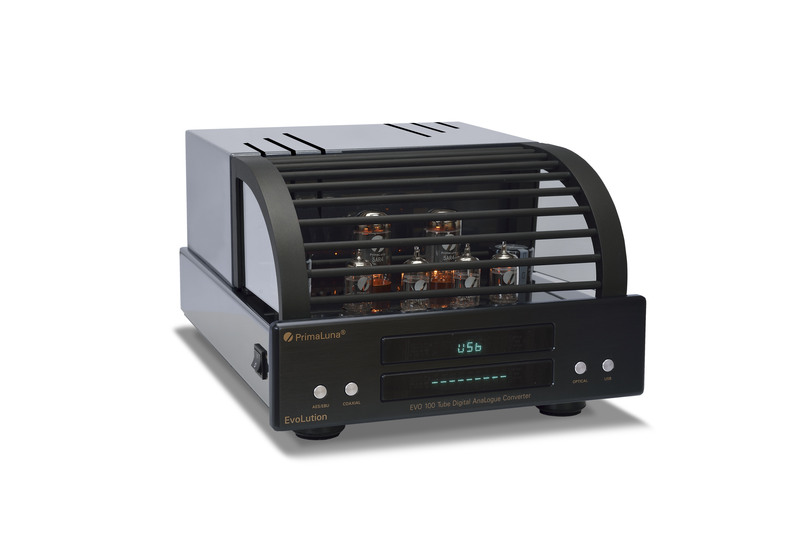 PREMIUM PARTS Including polypropylene coupling caps, triple pi power supply filters, custom designed isolation transformers separating the analog and digital devices, resulting in decreased signal degradation and improved sonics from top to bottom. Beautiful heavy-gauge anodized brushed aluminum remote control. Controls all important CD operations and will even control functions on the DiaLogue components. Comes with rubber rings on both ends to protect furniture. Conservative design runs tubes easy for long life. This entry was posted in Algemeen info - Informations générales, Awards, Awards - Oscars, Distributors, Funny stuff, PrimaLuna, ProLogue Classic Series, ProLogue Original Series, Reviews, Technology, Versterkers - Amplificateurs and tagged The Absolute Sound Editors' Choice Award 2015! The PrimaLuna Classic CD Player. Bookmark the permalink. 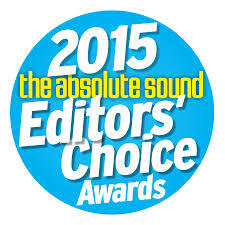 2 Responses to The PrimaLuna ProLogue 8/Classic CD Player: The Absolute Sound Editors’ Choice Award 2015! I think the Prologue Looks Amazing and Probably sounds just as good… On my List to Hear this DAC soon…. 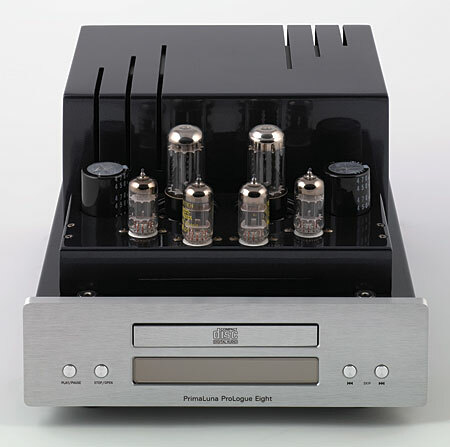 I currently have a HP integrated that I love and is definently the Most fun piece of Audio Gear I have ever owned…. I was wondering if you will be having any New CD/DAC models with Coax Inputs coming out soon or maybe even a Stand Alone DAC, I currently use a Logitech Touch for Network Streaming to my Current TEAC UD-501 DAC. Thanks again for making owning Tubes easy and keeping the Music first ….